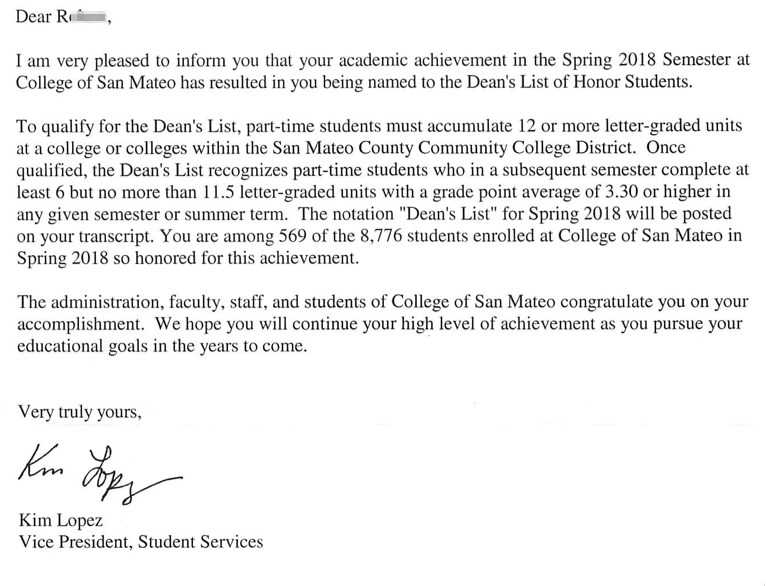 Even though I had some frustration with a couple of my teacher at the College of San Mateo last semester, some good news came from my classes. In a letter that came today, I found out that I'm on the Dean's List! I didn't even know about it - yet this was a fairly welcome surprise this afternoon. Yay!